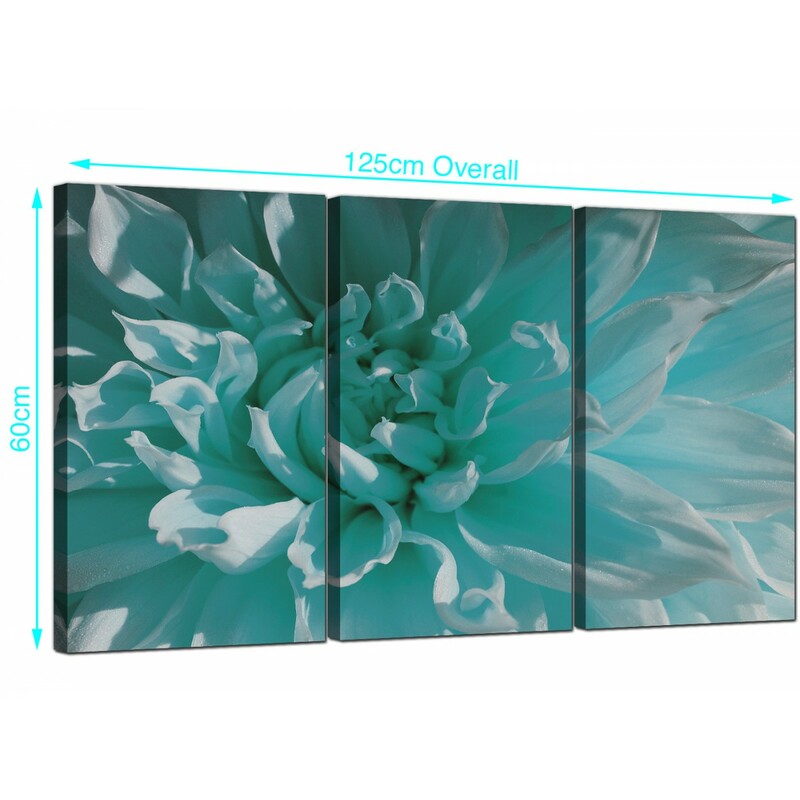 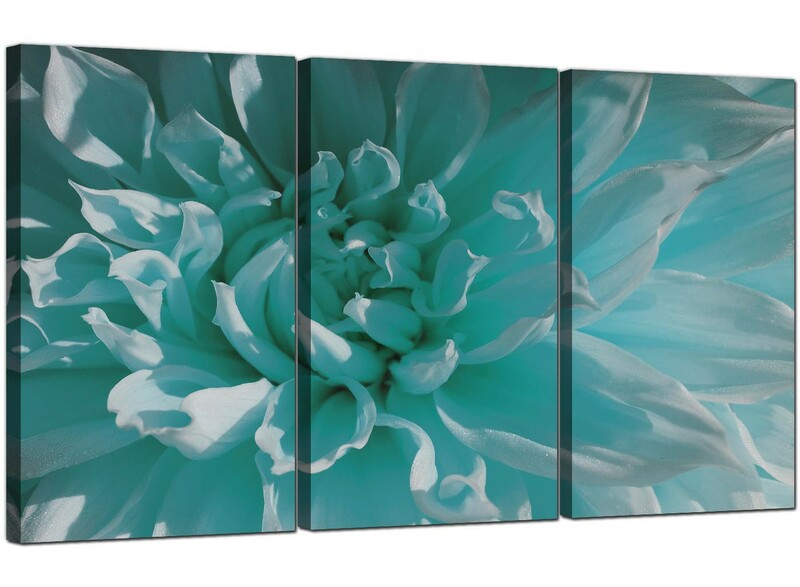 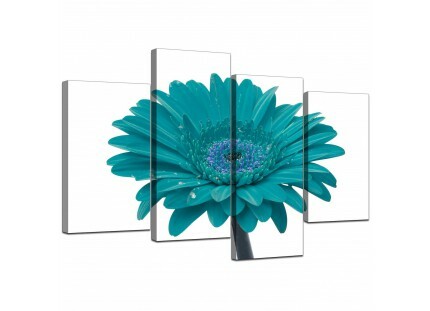 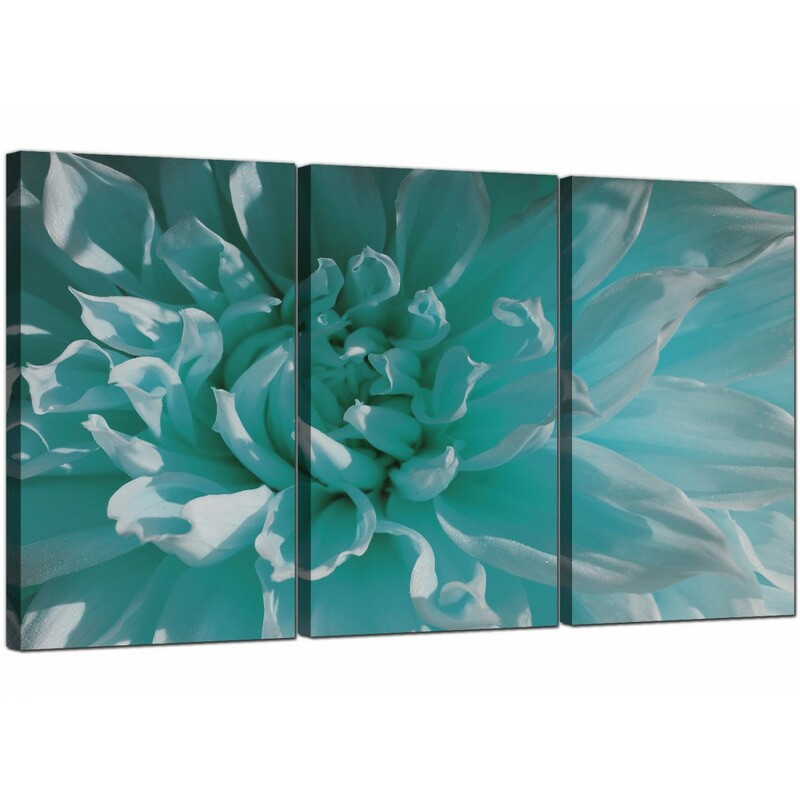 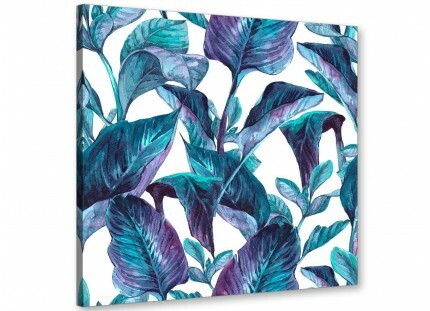 Affordable canvases of a blue-green chrysanthemum. 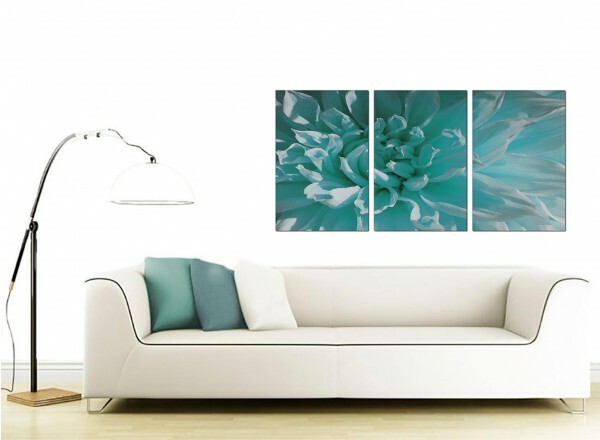 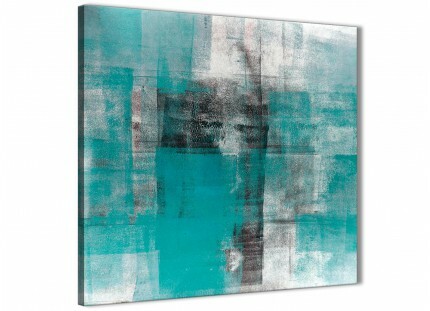 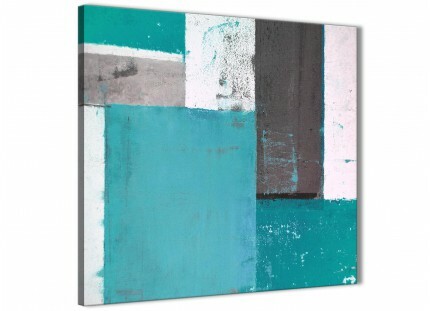 An extra large teal stylish set of 3 prints. 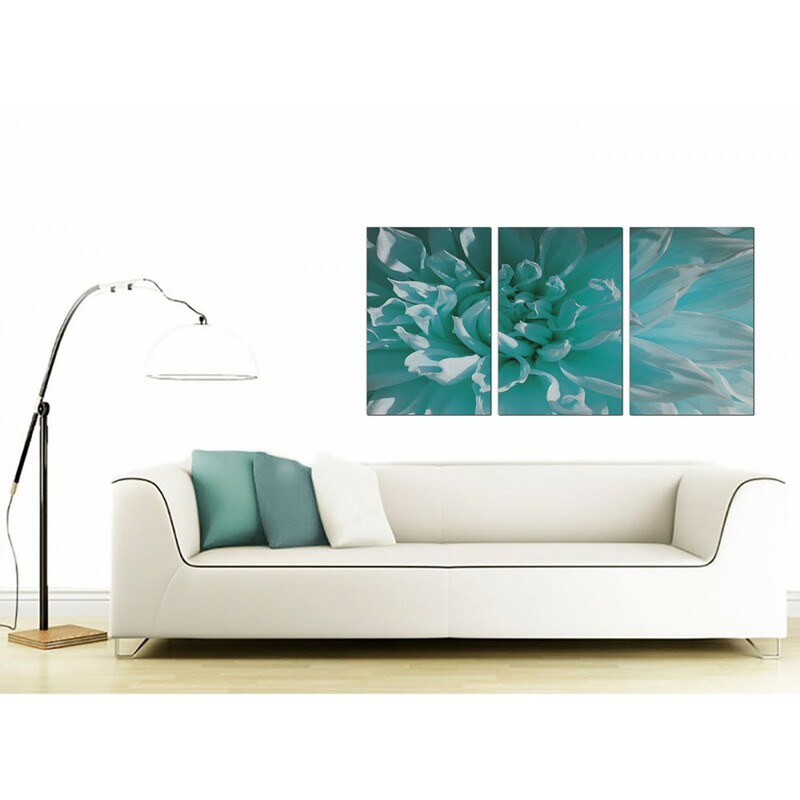 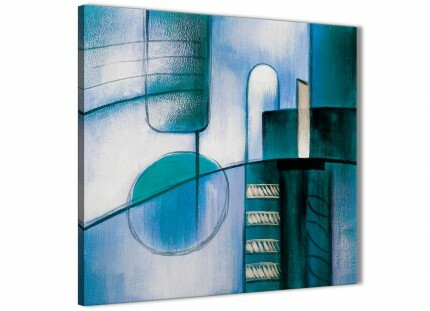 Canvas sets are printed at high resolution with with long lasting inks. 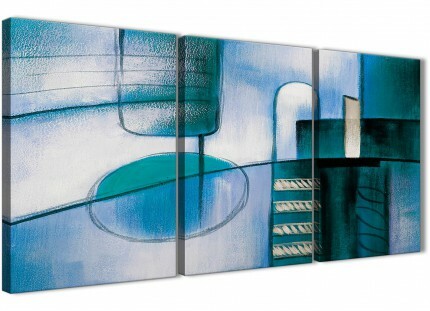 Dimensions: 125 x 60cm (49"x24") inclusive of spaces. 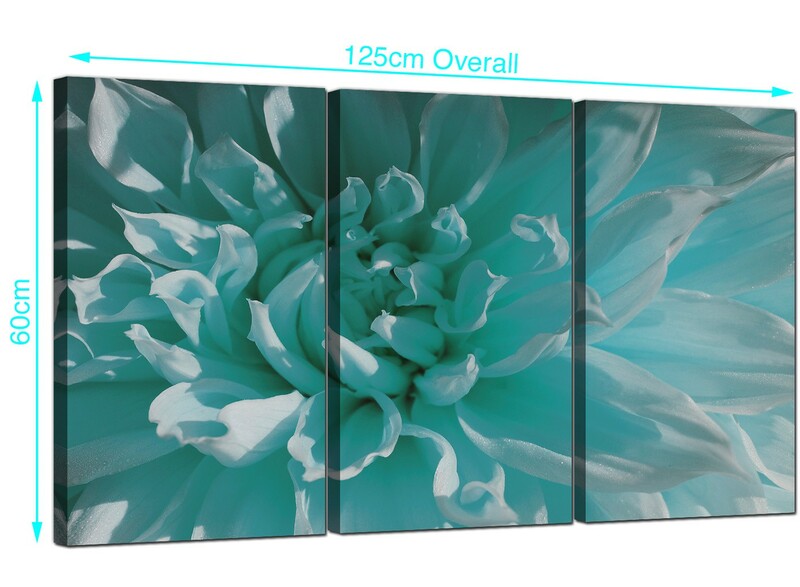 Each of the three pieces measure 40 x 60cm. 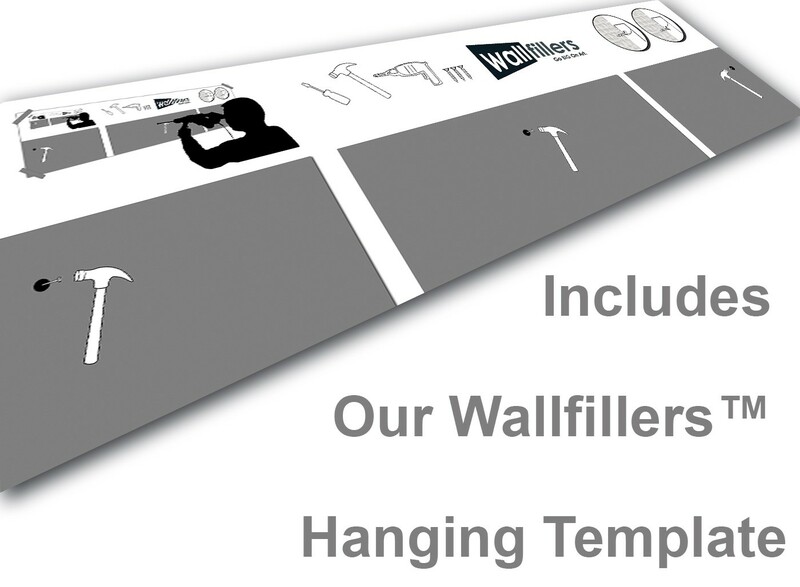 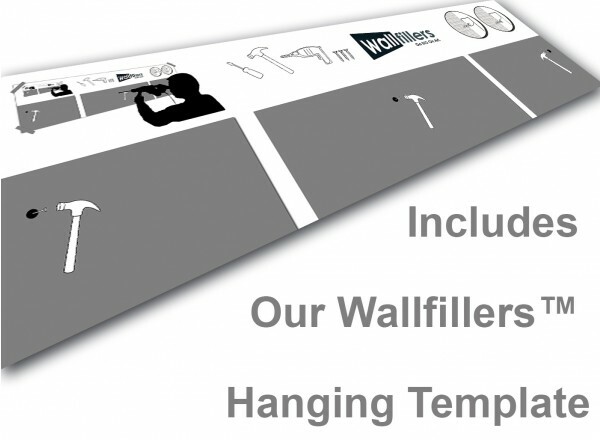 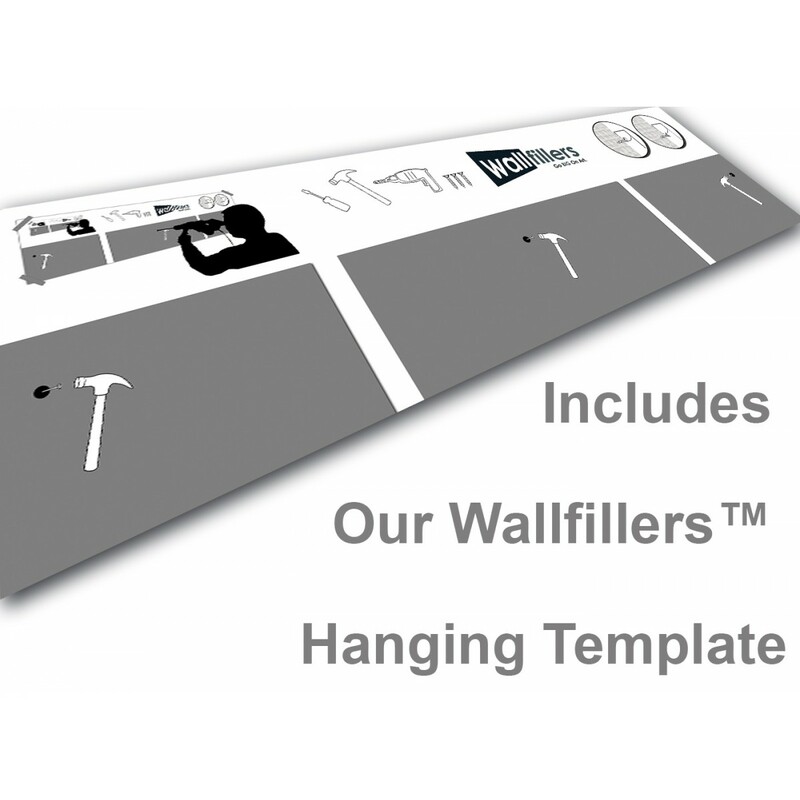 Wallfillers advise a gap of 2.5cm between each piece.